Your case is about more than the charges against you. It is about your life. As your defense attorney, I am here to help - not judge. Tell me about your situation. Even when things are at their worst, there is hope. The support and resources of an experienced defense law firm can help you make sense of your options. At Anderson Defense in Minnetonka, I help my clients develop a realistic strategy and confidently take the next step toward protecting their rights, freedom, career and families. I'm attorney Eric Anderson, and I help people who are going through some of the most difficult experiences of their lives. 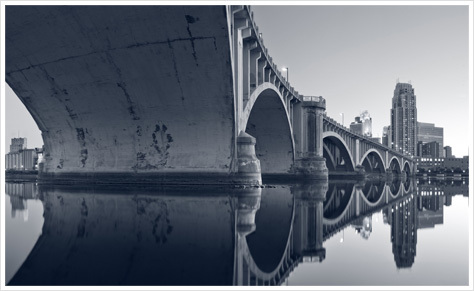 My criminal defense practice in Minneapolis encompasses a wide range of legal challenges including drug charges, violent crimes, probation violations and more. My experience in criminal law has also given me insight into complex issues such as those that involve Child Protective Services and the criminal accusations that can tear families apart. I balance the importance of child protection with the importance of family preservation when working with my clients. As a lawyer, I also handle cases for nurses, teachers and child care providers whose professional licenses are jeopardized in disciplinary proceedings for alleged professional misconduct. Regardless of the circumstances, I am here, ready to provide you with first-class legal counsel and representation to guide you through this difficult time. Whether you've been charged with a crime, have been contacted by Child Protective Services, face accusations of misconduct related to your work or license, or have other pressing legal issues, call Anderson Defense in MN at 612-437-6704. You can also reach me via email to schedule your appointment.